When you want to make a living as an artist you will have to start promoting yourself at one point. If you don’t want to call it a promotion, you can call it making connections. One way or another art-promotion will happen. Online promotion and real life promotion will often overlap. But what makes online promotion easier than real life promotions? The endless possibilities and opportunities! This is for those artists that are not sure if online promoting is for them! Because it is! Make sure you share this with the artists in your life to give them more opportunities! Of course, this doesn’t mean they will all be finding you. But it does give you a big playing field. 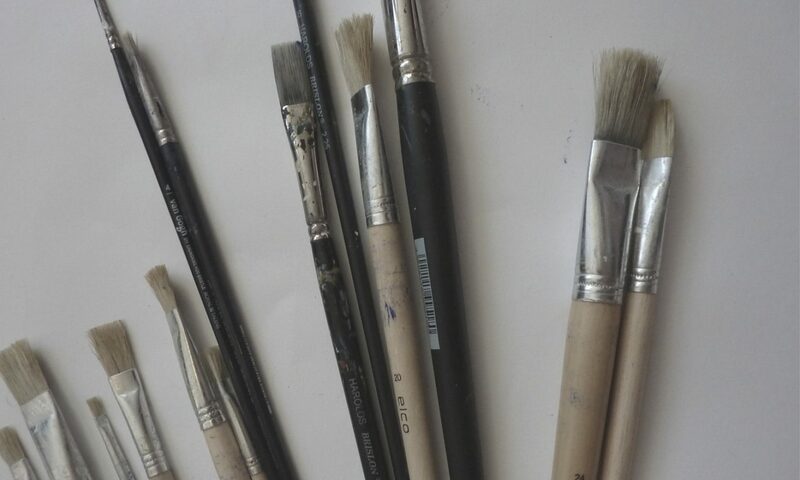 There are already plenty of tools around for artists around to help them build their online web. Think of communities, forums, social media and galleries. With all these tools you can build your online presence and get yourself in front of all these wonderful people. My favourite reason for online promotion is that most options are free! You can have a wonderful promotion strategy without a cent leaving your pocket! Take for example; copromote is my new favourite tool. You don’t pay anything but you share others work for yours to be shared! Social media is free, commenting is free etc. It might take you some extra work when you can’t buy all the fancy programmes to schedule everything but it will cost you nothing. In real life promotion, a lot of your money might go into printing promotional materials. In real life promotion, a lot of your money might go into printing promotional materials. Of course, as an online business/artist/blogger, your business card can still help you loads so don’t forget those! Unfortunately, online promotion comes with a downside as well. The competition can be tough for example. But more importantly, the online world is not a very nice place. The internet trolls can be very rude and mean. If you are promoting your art, you are in risk of art thieves. Unfortunately, I underwent that last one not even 24 hours ago. I didn’t think I would be at risk of art thieves but here we are. I can tell you that it is not a nice feeling. Dealing with art thieves is very frustrating! I also mentioned something about endless opportunities didn’t I? Did you know that there are loads of blogs that accept submissions? For example; eat, sleep,draw , a massive Tumblr where you can submit your drawings. There are many initiatives like this across the web! 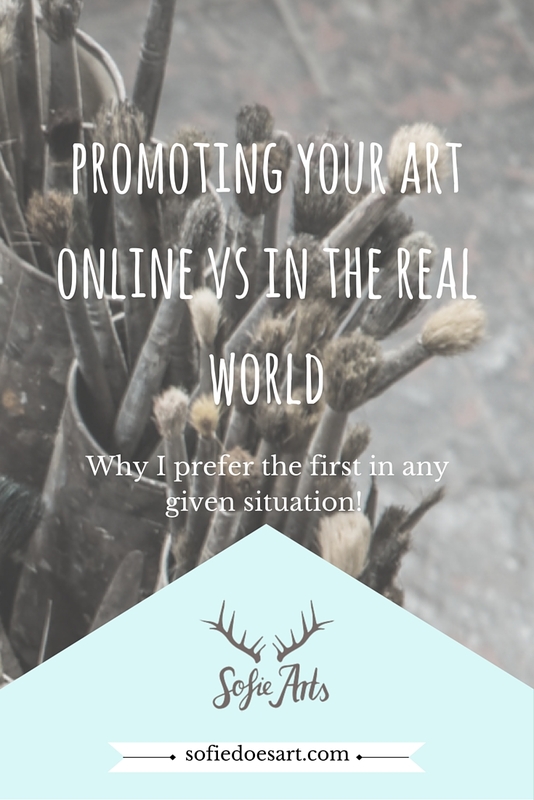 I think that for me online art promotion is a much better fit. Making them overlap is for me the hardest part! You will be the first to get it when it comes out! Online promoting can look complicated but I still prefer it over real life promotion every time! What is your favourite part of the online promotion of you artwork? Or what part do you struggle with? How to separate life and business when working from home? Looking forward to your guide, Sofie and sorry you had some art stolen. I would be so nervous dealing with that. Oh this is so timely for me! I’ve been trying to take promotion more seriously in terms of my artwork. I think that no matter what you promote it’s going to take so much more time than maybe you’d like it to. It’s just part of the game when you’re trying to build up your business. I’m definitely going to keep an eye out for your guide. Great to see you here at the Pit Stop. An art blog! There should be great interest from artists all over. Thank you for bringing your post to the Pit Stop last week.